If you can't go to an apple orchard then bring one to you with this summertime favorite! Imagine walking through an Apple Orchard on a warm summer day. The aromas of apple blossoms and the ripe rind of the apple scenting the air. 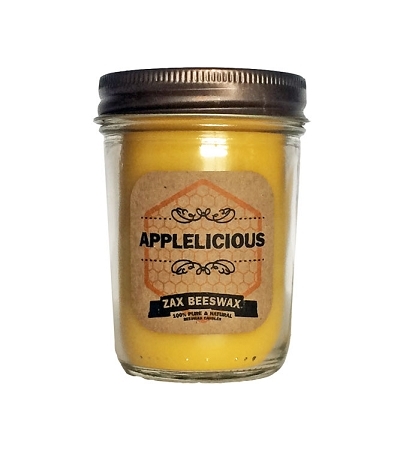 This all natural beeswax candle is sure to tantalize the senses while filling your home with a fresh apple scent. APPLELICIOUS - Apple....need we say more (kidding). Fresh ripe apple meets sweet summer air with a slight woodsy undertone.